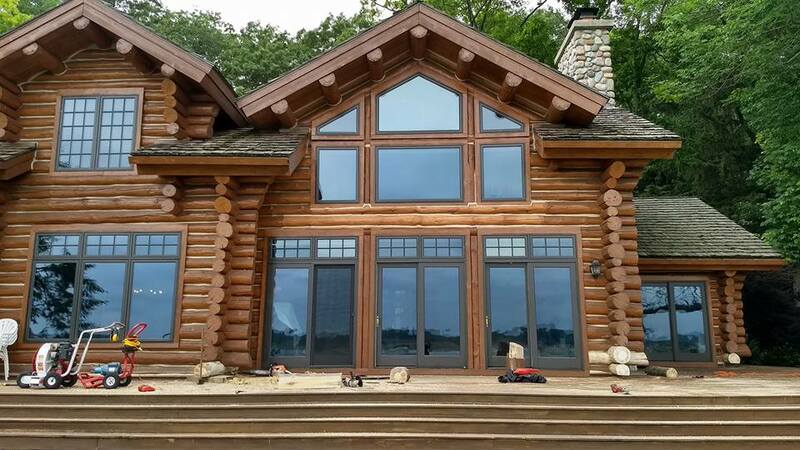 Saugatuck, MI Home Window Tinting Film – The owner of this beautiful log home in Saugatuck, Michigan wanted to preserve the terrific views this house afforded while improving the comfort and preserving the interior furnishings. After consultation, we chose a Vista Home Window Film called Spectra Select VS60. This visually invisible film is a great choice for this home as it maintains the views and the natural light while acting as a UV filter blocking 99% of the sun’s harmful rays. In addition, this film will also improve the comfort in this home by blocking 60% of the solar heat transmission coming through the large windows. This will enable them to keep the home at a comfortable temperature without running the air conditioning constantly. 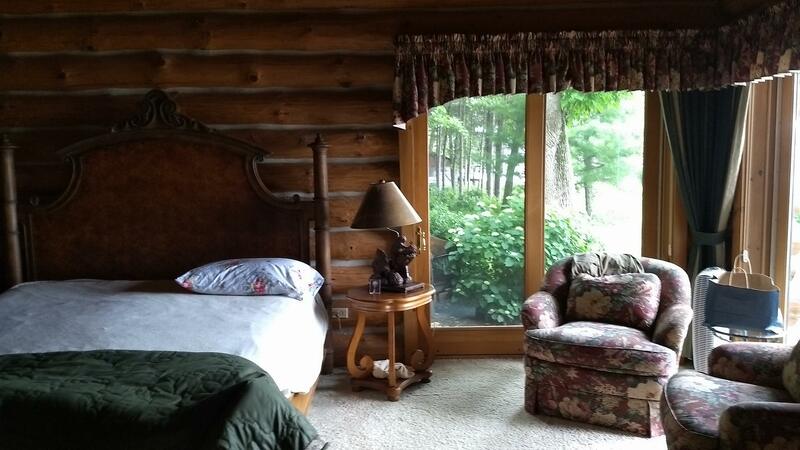 Take a look at a couple interior pictures to see that this film does not diminish the views at all. In fact, it actually enhances them. 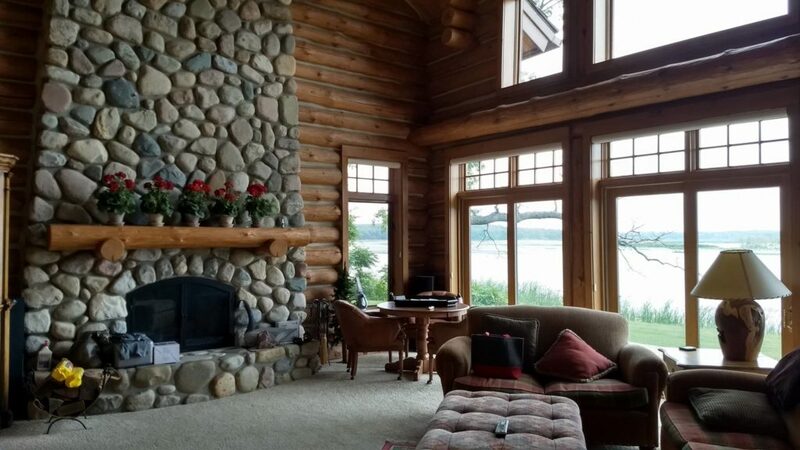 If you are interested in learning more about how Vista Home Window Film can add sun protection to your Michigan home, click HERE, give us a call today at (231) 943-9773 or Contact Us using our online form submission for an absolutely free, no obligation consultation and quotation on implementing home or business window film. Our service areas include Traverse City, Grand Rapids, Cadillac, Petoskey, Roscommon, Ludington, Michigan and the surrounding areas.